What Is it Like To Live in Xcalak? (March 2018 Update) The first place I moved after beginning the retirement adventure was Xcalak, Mexico; a beautiful village on the Yucatan Peninsula, on the Caribbean coast, not far from the border of Belize. My ex and I had found a vacation rental about 10 kilometers, down a rough road, out of town, right on the Caribbean. On one side was a white-sand beach and a coral reef, on the other was a nature-filled lagoon. It was remote, off the grid, quiet and relaxing. We thought, idyllic life on an (almost) deserted beach; perfect. So, without doing too much homework I wrote to the owner and offered a price to rent the large upstairs unit of the triplex, $600 USD a month, and he quickly agreed. So quickly in fact that I should have asked a few more questions, but we were new and excited to get the adventure going! Living off the grid on a deserted beach certainly has its romance, but it also has its drawbacks. We quickly learned that the summer season in Xcalak on the Mexican coast, next to a lagoon, when the wind seemingly only blows during hurricanes, means a lot of heat and clouds of voracious mosquitos. Isolation is great for a time, but eventually, we wanted more human interaction and this often meant frustrating, bone-jarring drives on the road that once seemed “charmingly rustic.” Also, at the time we were there, there was a small gang of criminals who were watching and burglarizing vacation rentals when the owners left, sometimes even entering homes and taking things while the occupants slept. The landlord knew about this before we moved down, but didn’t say anything. Being afraid to leave for fear of having your things stolen, and always on guard even when you are home, is no way to live; especially long term. Even though we were paying rent, we had agreed with the owner to vacate the large top floor unit and move to one of the half-sized lower units during high season. Well, even though it said differently on the owner’s website, high-season, to the owner, turned out to mean whenever another short-term renter came along and wanted our unit. And we were expected to take our things out of the nice unit, help the short-term renters move in and clean the unit so we could move back in. We were also expected to rake the beach and remove any debris daily, so it was perfect for other guests. This seemed excessive, and after talking with other people who lived full-time in Xcalak about our situation, they thought we were crazy. In many of the vacation rentals of Xcalak, the people who did caretaking duty were living in the units for free. Yes, we were new. Yes, we were naive. Yes, we should have asked more specific questions. But, we were being taken advantage of, and the landlord was seemingly happy to use our naivety to his advantage. Lesson learned. Even after all of that, I will say that in many ways I miss Xcalak. The beaches were beautiful, it was great being surrounded by nature and, for the most part, the people there were very nice and hospitable. I would love to take Sarah there and spend a few weeks seeing old friends and enjoying the atmosphere. I learned a lot about myself in Xcalak, namely that I need a bit more stimulation and human interaction than it provided, but as an escape it was wonderful. For me, Xcalak just wasn’t meant to be a permanent situation, and I quickly learned why it is a part-time destination for many. 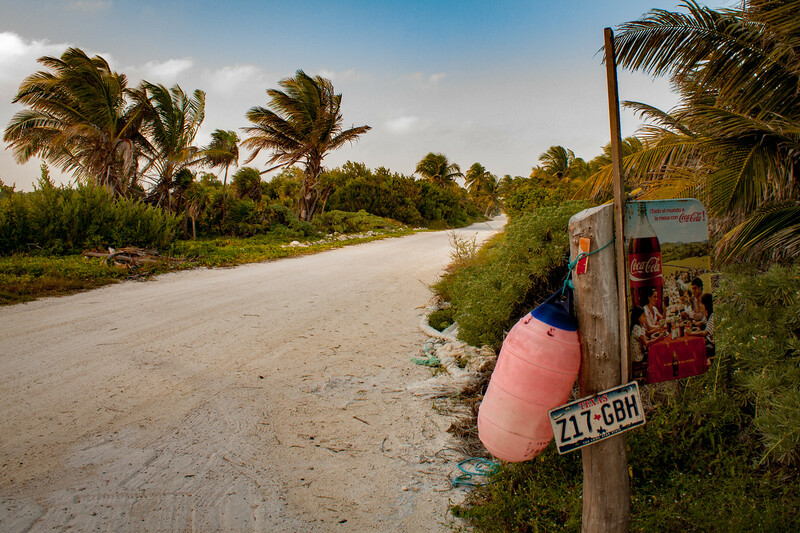 Xcalak is a small fishing village in the municipality of Othón P. Blanco (kind of like a county), Quintana Roo (state) on the far southern Caribbean coast of Mexico. 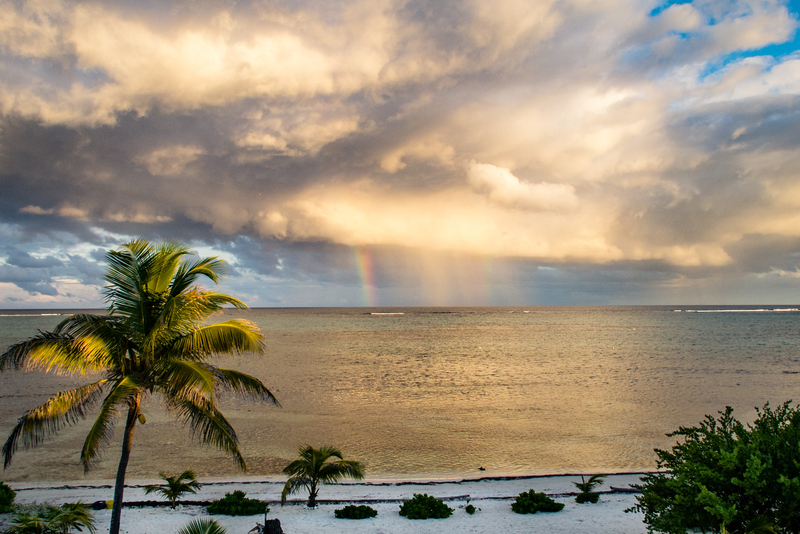 It is the last inhabited place on the coast before you get to Belize. Although sources disagree, the population is currently somewhere between 350 and 400 full-time residents. Below the surface, it is much more than that. Historically Xcalak (“ish’-ka-lak” is the most common pronunciation but there are many variants) has been a busy place for well over 2000 years. Pottery shards from the Mayan pre-classic period are numerous on the beaches, especially after rainstorms. Yes, you can just walk on the beach and see these enigmatic ancient artifacts. There are also tantalizing but inaccessible jungle covered hillocks that can be seen from rooftops that have not been explored in contemporary times. There are many other ruins nearby but it is widely believed there are many more to be found. During the early 1500’s, the Spanish undertook to wrest control of Yucatán against the Late Post-classic Mayans. Although Spain’s although they largely succeeded within a few decades of their arrival, it was not until 1697, and only with help from the Xiu Maya, that the last of the great Mayan cities fell. During the mid to latter part of the 16th Century English pirates, in cooperation with some Mayan groups, controlled much of the area around Xcalak. Taking advantage of natural hiding areas, they attacked Spanish ships before they could carry their plunder back to Spain. In the early 1700’s, Spain commissioned forts in response to the raids but the pirates, again with the help of indigenous people, remained until the end of the 19th Century. The Mexican military took control of the area in the late 1800’s. In 1897, the territorial boundaries of British Honduras (Belize) and Mexico were settled, cutting domestic access from the Caribbean to Chetumal Bay. Accordingly, a program was undertaken to establish a port near the southern reaches of what is now called Quintana Roo, establish a permanent presence and stop the flow of arms to Mayan rebels fighting toward the end of the Caste War. The site of Xcalak, which is Mayan for “the twins”, references two natural cuts in the reef offshore. It sits on a very flat shelf of limestone and is situated at the end of a narrow peninsula. Because of the lost natural domestic access to nearby Chetumal Bay, in 1899 the Zaragoza Canal was built to provide direct access. 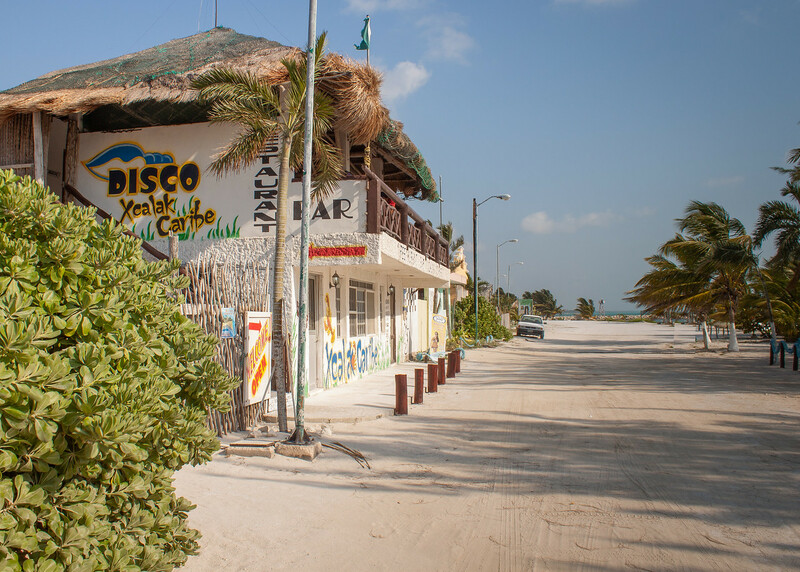 Things continued to grow and in the 1950’s Xcalak was the largest city in Quintana Roo. Copra (dried coconut meat) plantations and a healthy fishing industry supported an electric plant, a movie theatre, an ice cream plant and even a short railroad to take coconut products from the city (then population 4,000) across the peninsula to boats on Chetumal Bay for export. Xcalak, however, was still not accessible by land and on September 27, 1955, Hurricane Janet, packing winds over 200 kilometers per hour arrived and decimated the city killing many of the residents. It wasn’t until 1980 that a land route to Xcalak was completed. In 1995 a state decree was issued establishing the “Xcalak Reef National Marine Park” with the ultimate goal of preserving the beautiful reef and creating a toehold for a struggling Ecotourism industry. The reef is part of the second largest reef system in the world and is home to a proliferation of wildlife including many endangered species. Kayaking, bird watching, SCUBA diving and just general beachcombing are just a few of the many activities available to enjoy. Loved this place when we wandered through during our 18 months and 25,000 miles of road tripping through Mexico as part of our Trans-Americas Journey. Glad you two are loving it too.nnNice retirement!